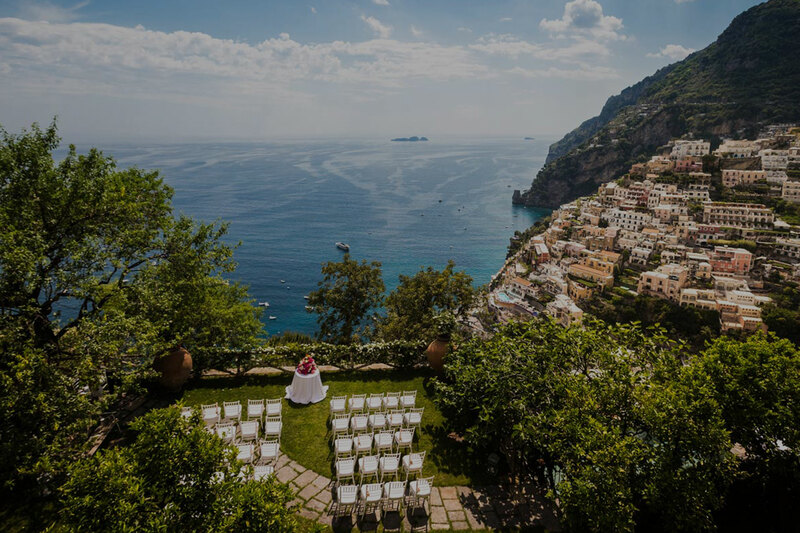 There are magical places where dream weddings really do come true, places like Positano on the Amalfi Coast. 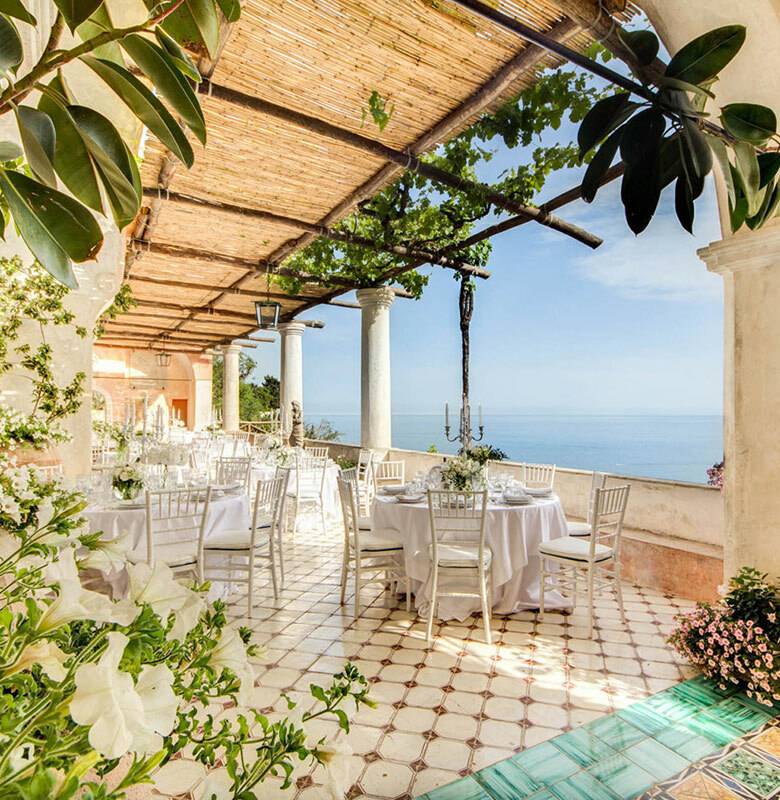 Have your dream wedding on the terrace of Villa San Giacomo, and say your vows against the backdrop of the glistening Mediterranean. 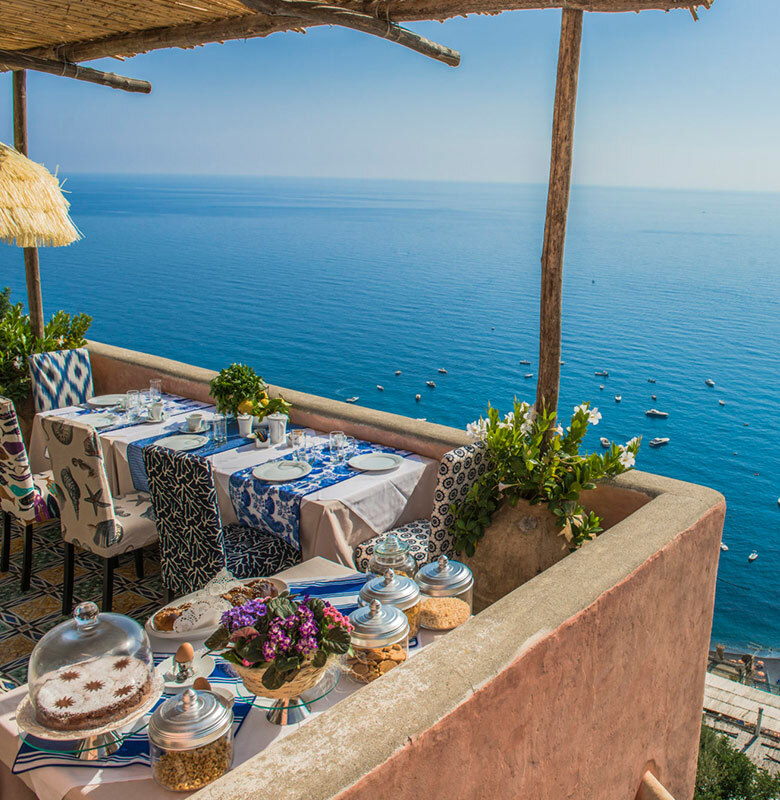 Villa San Giacomo, a massive 18th-century villa perched on Positano’s highest point. With its pink facade, intricately tiled floors, patterned furniture, frescoed walls, and sweeping terrace views, it looks like something out of a candy-colored vacation dream. 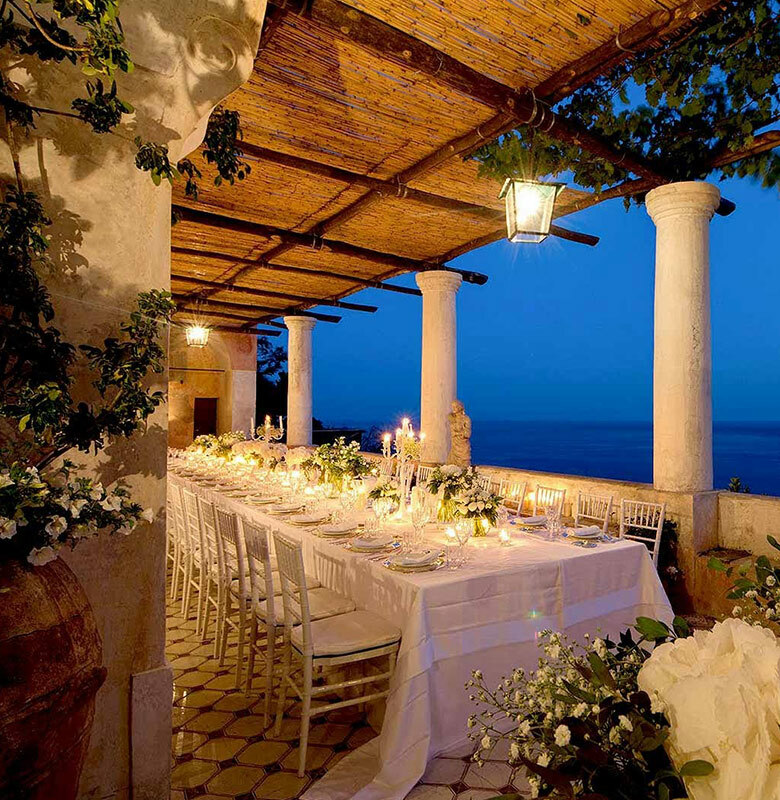 Receptions: Frescoed hall, gardens, or on the panoramic terrace.